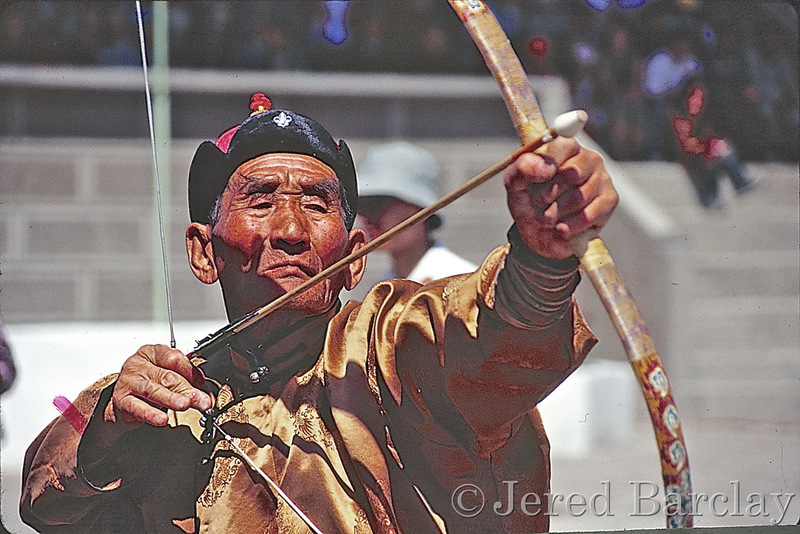 Archery is the national sport of Bhutan, a small but very advanced country in the Himalayas, north of India. The target is sometimes over 300 feet from the archer. This man has won many competitions. His face tells us of a life well lived. 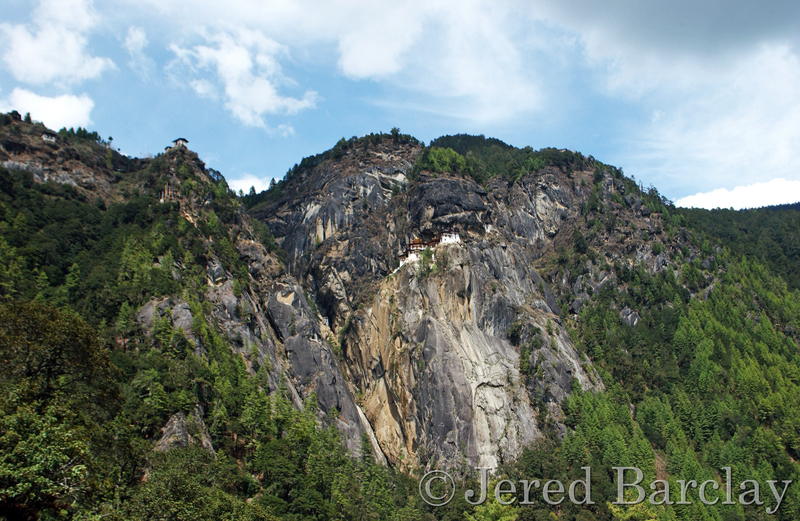 In Bhutan, high in the Himalayan Mountains, the jaw-dropping Taktsang Palphug Buddhist Monastery, was built into the granite sheer rock face. 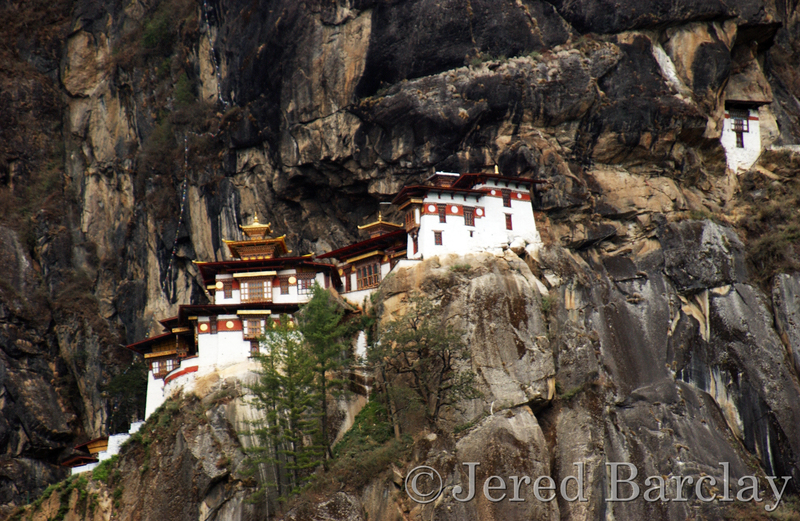 It was built in 1692 and known as Tiger’s Lair after a sacred monk who meditated in thirteen tiger lair caves there in the 8th century. 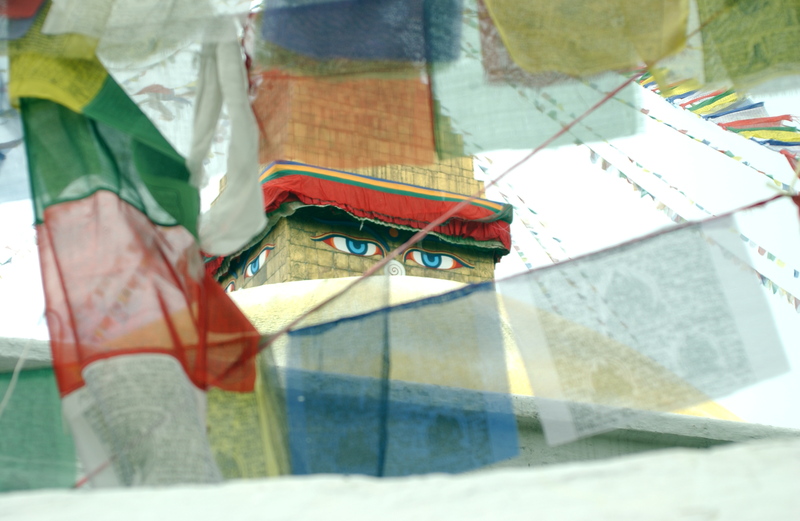 The wooden buildings are painted with intricate and colorful patterns that have meaning to the faithful and are connected by stairways made in the rocks. 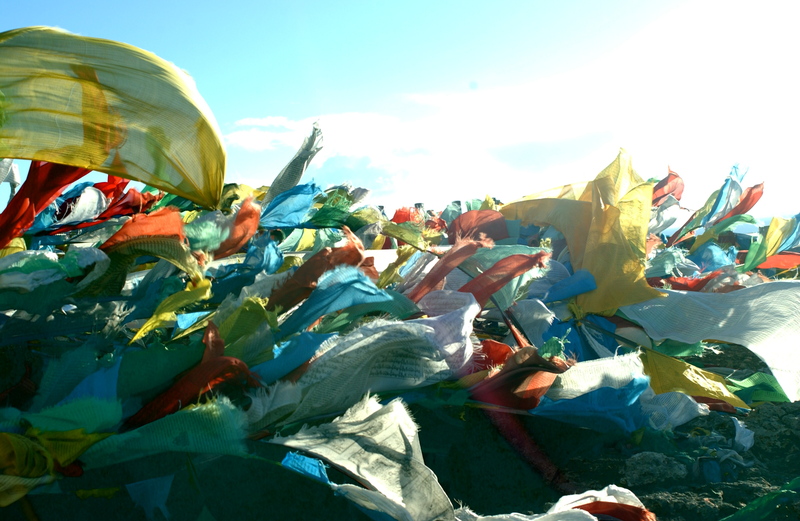 Along the trek from the valley to the monastery are prayer flags, temple bells, a wishing tree and a waterfall. 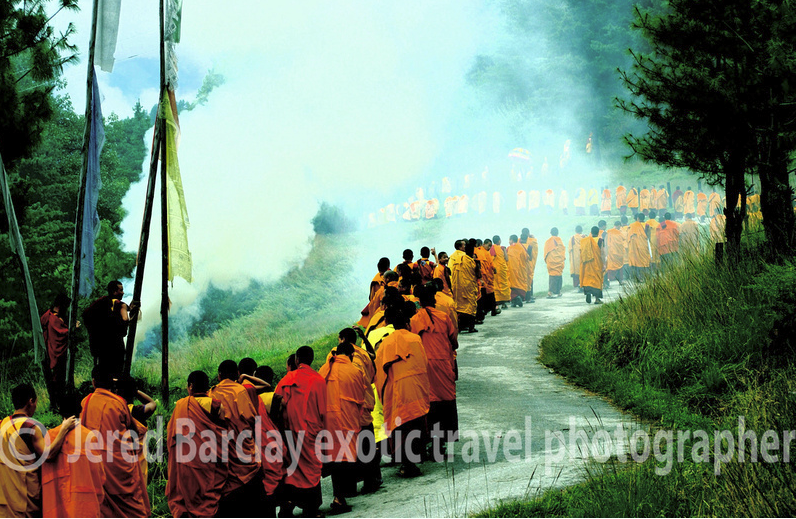 Monks serpentine to their outdoor study place in central Bhutan. 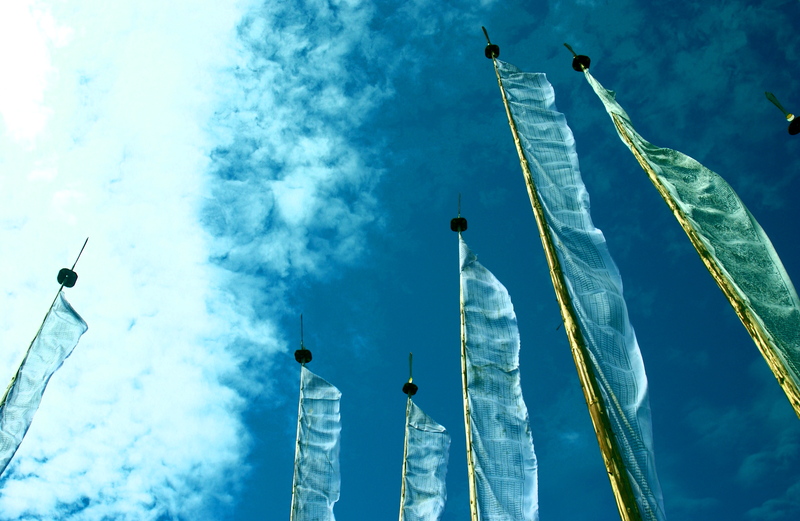 Bhutan has many festivals. 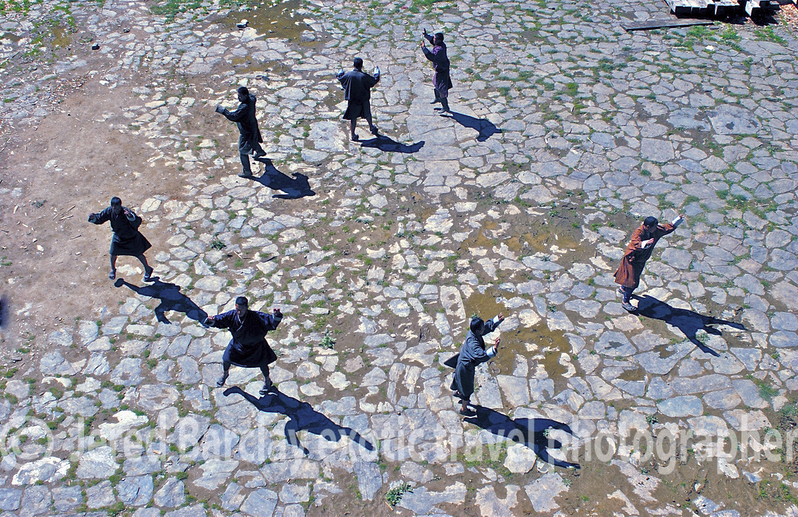 In this image men practice a sacred dance for a Mask Festival. 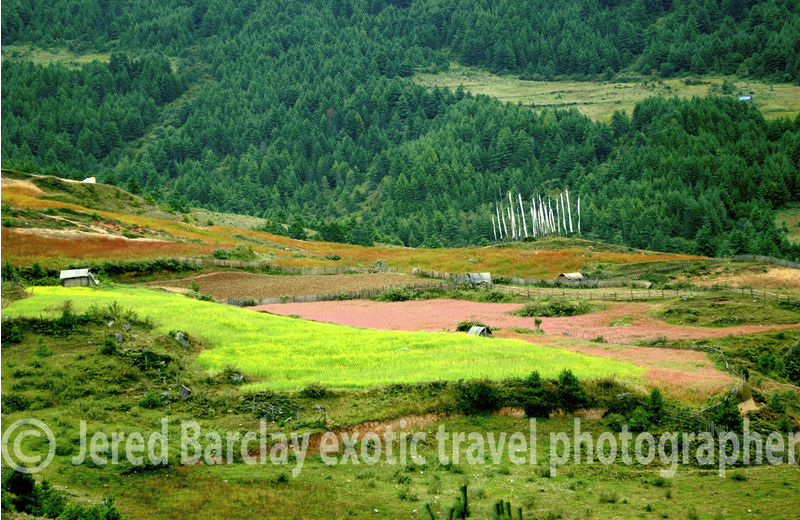 Fields are alive with crop colors in the Himalayan mountains.